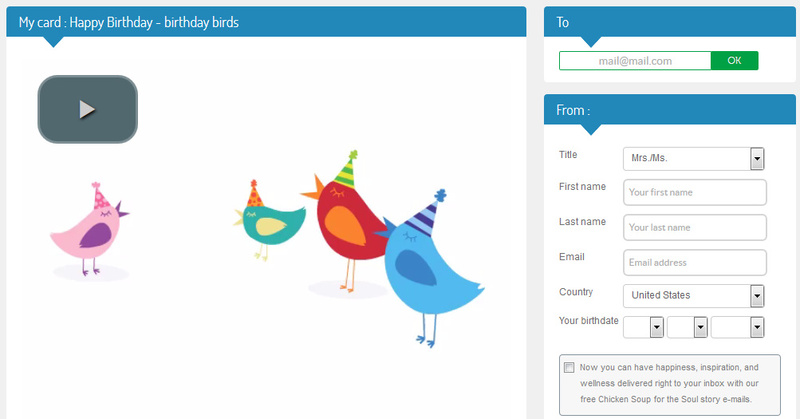 Another way to wish a Happy Birthday is sending a animated birthday card directly from the web site kisseo. There are dozens of interesting happy birthday cards for free and you just have to choose one and send it over the internet. As soon as you chose the one that you want to change, write an e-mail address of the recipient and add your personal information as well. You could even program the card to arrive on the date and time that is best, and that way you make sure you will not forget to send it on time. This entry was posted in Videos and tagged birthday, card, Happy Birthday, videos by Carolina Goodfellow (Google+). Bookmark the permalink.